Solo conertos performed by Grant Roberts (piano), Tessa- Anne Campbell (violin) and Sarah-Ann Soltau (clarinet). Conducted by Angela Wide. December 8th, 3pm at St John's College Hall Harare. 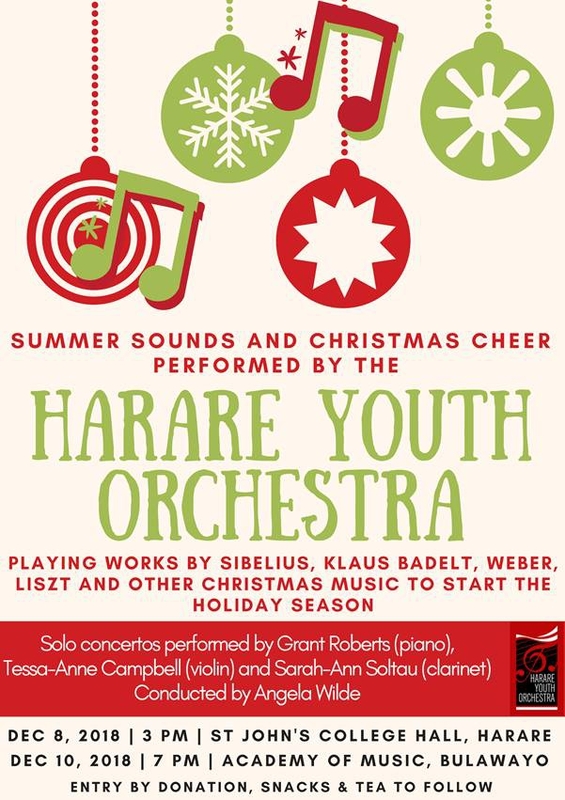 December 10th , 7pm at Academy of Music, Bulawayo. entry by donation, snacks & tea to follow.